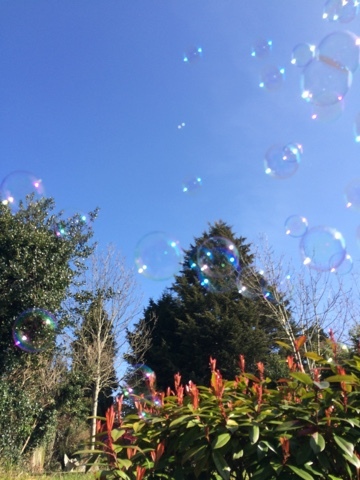 We're starting to see sunny (but cold) afternoons and with it getting darker later, we're enjoying the chance to play outside - hopefully we will be lucky with the weather in the upcoming Easter break too! 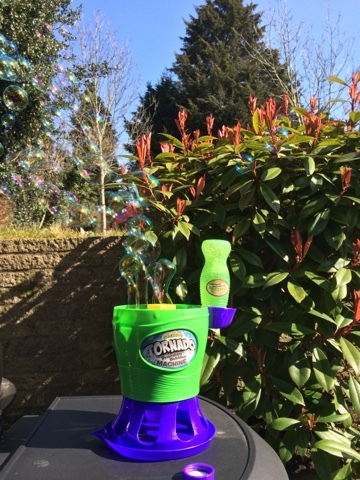 With outdoor play in mind, I wanted to share with you my thoughts on the Gazillion Tornado - a mega bubble machine which will blow hundreds of bubbles per minute! 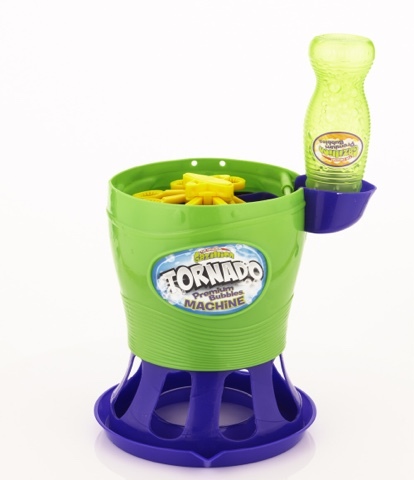 Gazillion Tornado comes in friendly packaging - the machine held in place on the cardboard by 5 plastic ties and the first thing you need to do once it's out of the box is add batteries (4xAA's). There's an instruction leaflet and the machine is very simple to use. You literally take the plastic lid off the bubble mixture bottle and place it upside down on the stand so it punctures the foil and the liquid runs into the reservoir. When you are ready, press the yellow button on the back of the machine and the bubbles will fly out! 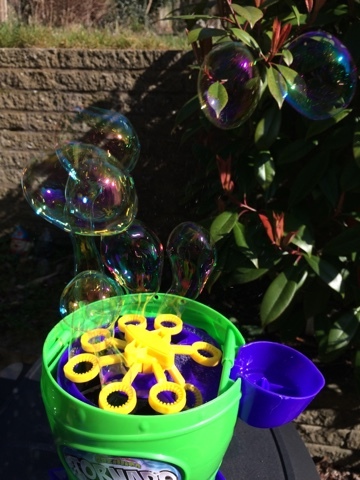 We were very impressed and super excited by the amount of bubbles being produced. 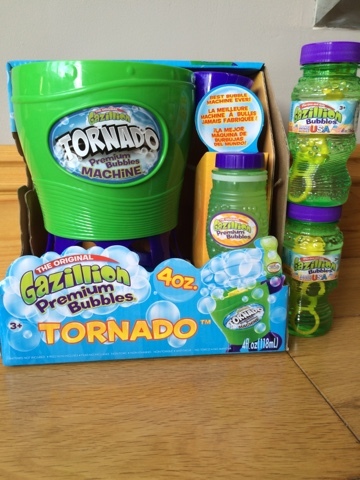 Gazillion Tornado is quite noisy but not loud enough for the kids to notice or even compete with their excited squeals! We carefully lifted the bubble mix off when we were ready to go inside and found there was a generous amount still in the reservoir so we just kept going! Overall - quick to set up, super easy to use, good value for money and lots of fun! Disclaimer - I was sent a Gazillion Tornado for my consideration. All thoughts are my own. This looks AMAZING!!! The girls would adore this, better put it in my Amazon shopping basket immediately. So lovely to have longer afternoons and a bit of sunshine to enjoy, isn't it? Thanks for linking up to #FridayFabulous. Getting Ready for Easter - Spring Craft Special!